This is one question Atala and I have discussed a few times, especially because I do love McDonald's fries. I come from Nigeria where most foods are organic and all-natural, and most times I cooked my own meals with food stuff bought from the market myself. These days, I buy frozen processed meals for a few days, and sometimes we eat out. My assumption about natural meals continued till Atala revealed to me that most french fries are not made from potatoes but from a starchy goo that may consist of anything and everything. Scary, right. I was all ears when the latest McDonald's ads featured customers asking questions about where the fries come from. And now the brand has answered. Questions like Does McDonald’s use real potatoes? Why do the fries always taste so good? Are they mashed and formed in a mold? 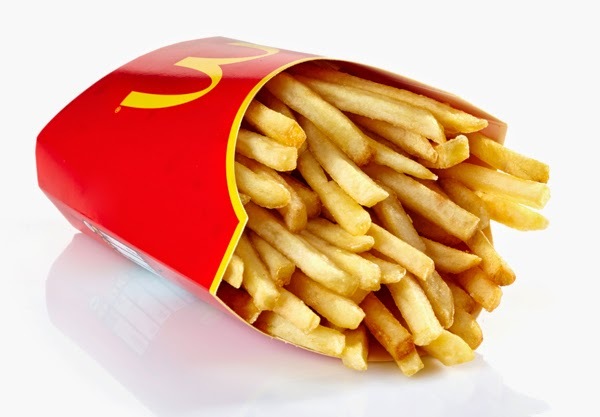 There are a lot of questions about McDonald's french fries which are answered in this video with former Mythbuster's presenter Grant Imahara. A fan of the fries himself, Grant goes backwards from fryer to farm to determine the fry making process. Watch!